Vanessa Baier's 4-year-old daughter Alexia was in full-on crisis. "I just kept thinking, 'What's going on with my child?'" Vanessa Baier told "20/20" while fighting back tears. Alexia had been breaking out into erratic, explosive behavior that would appear completely out of left field. "It was just swings that were very dramatic and uncalled for, for the situation," her father, Brian Baier, told "20/20." "She had such a fun personality," Vanessa Baier described her daughter, Alexia. "There have been times where [her tantrum] was an hour and a half, two hours," Vanessa Baier said. Alexia, now 8, wasn't always so volatile. Her mother, a special-needs teacher; her father, an accountant; and their oldest daughter, Kyla, had all welcomed a very typical baby girl to their loving home outside Chicago. "She had such a fun personality. She was always laughing, smiling," Vanessa Baier said. And as Alexia began attending preschool, her mom said her daughter was excited and loved her new friends and teachers. "She was on track. She was even advanced in different areas. She was just a typical 4-year-old," AJ McCree, the school's principal, told "20/20." The Baiers admitted their daughter, Alexia, into a psychiatric ward after she tried to stab her mother in the eye with a mascara wand. But in the winter of 2014, Alexia got sick. A doctor diagnosed her with strep throat. 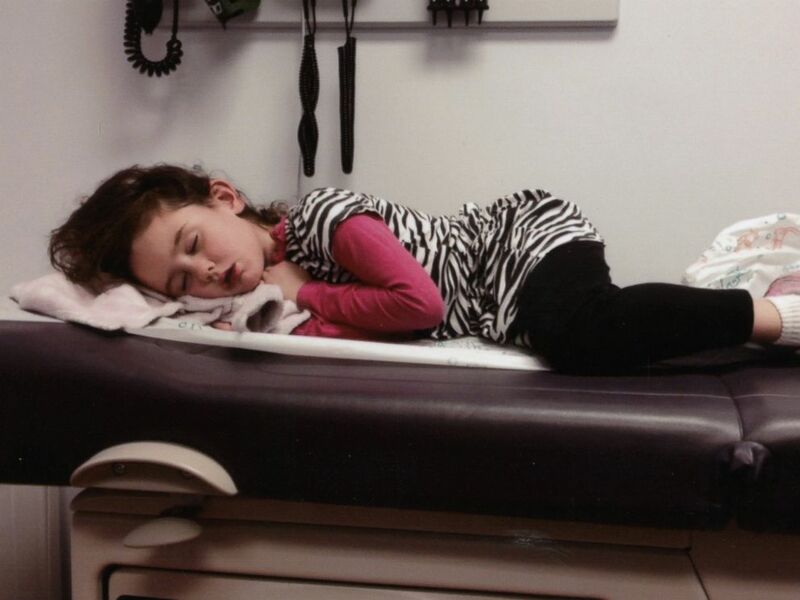 "That was the first time she ever had strep throat," Vanessa Baier said. "No big deal, just run-of-the-mill strep throat." 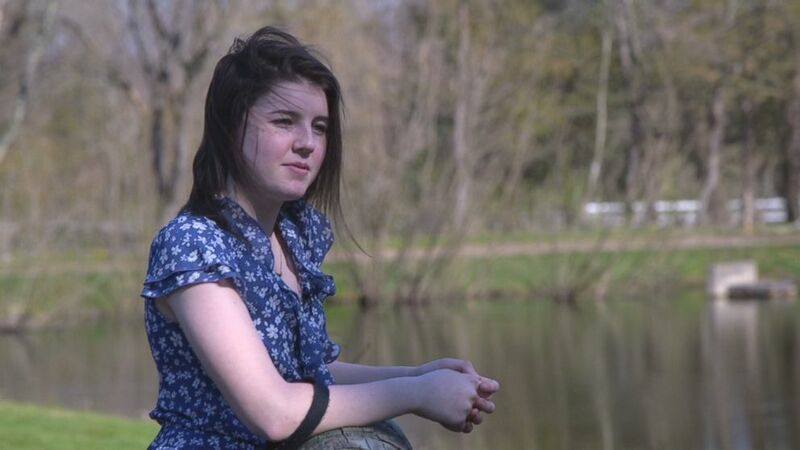 Alexia was prescribed a typical course of antibiotics, but as the infection disappeared, her bubbly personality began to change. "It was less than two days later. It was defiance and OCD [behavior]. She just all of a sudden seemed angry," her mother said. "It really came to my attention that something was off when Lexi would start to destroy the classroom," McCree said, referring to Alexia. "It was a lot of screaming, a lot of hitting and kicking adults." 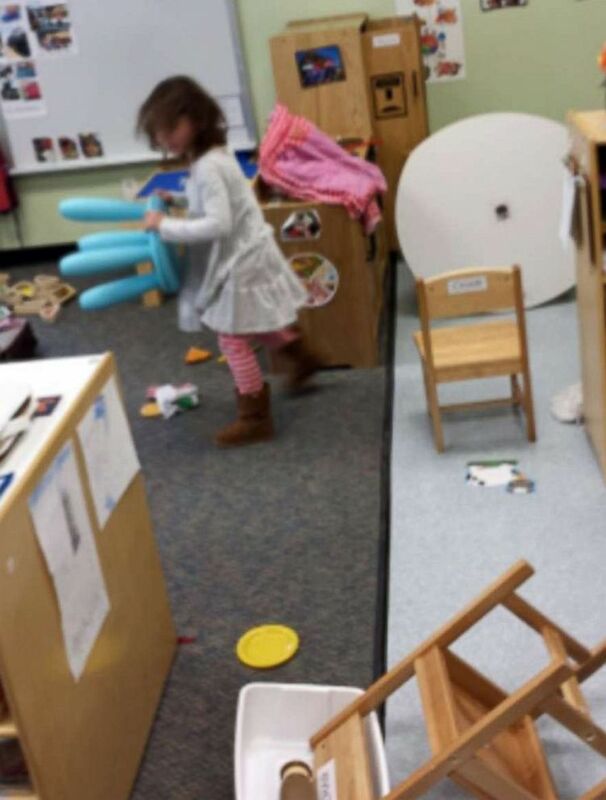 Alarmed teachers isolated Alexia from the other preschoolers and even resorted to using bookshelves as barricades. "Furniture would get tipped over. Bins of toys were dumped or thrown at people. When we would try and keep her safe in an isolated area, she would continue to elevate and elevate," McCree said. "They had to call in the social worker, the psychologist, the principal. I mean, there was a team of teachers involved," Vanessa Baier said. "It was like a Tasmanian devil running through the classroom." Tearfully remembering her daughter's worsening behavior, Vanessa Baier said she felt "a lot of guilt and personal blame about what am I doing wrong? And how can we help?" McCree, the school's principal, said that when a child suddenly acts out, it may indicate trouble at home, but, he said, Alexia was an anomaly, because her home life appeared very stable. "When somebody switches temperaments, we look to see is something changing at the home? Whether it's the parents that are separating and any violence that they might be exposed to that way and it just didn't seem to be the case with this family," he said. "It was like a Tasmanian devil running through the classroom," said Vanessa Baier. "We're trying to team together to try to figure out what's going on, but at the same time it's like this just isn't making sense," Vanessa Baier said. "I don't know how to de-escalate my own child." This was especially troubling to Vanessa Baier because de-escalating children in crisis is part of her responsibility as a special-needs teacher. But things became dire when Alexia's prolonged tantrums turned into threats toward her family and herself. "Telling my 6-year-old (Kyla), 'You have to stay in your bedroom because I don't know what your sister is capable of,' is heartbreaking. She knew the whole time. She had told me, 'Something's wrong with Alexia's brain.' She knew," Vanessa Baier said. "'Something happened because this is not my sister.'" Vanessa Baier said Alexia knew something was wrong too. "She would cry and say, 'Mommy, why can't I be good? I just want to be good.' That broke my heart," she said. Vanessa Baier began taping Alexia's episodes because her husband was often at work when the worst behaviors would occur. "A lot of times he was discounting it," Vanessa Baier said. "The psychologist we went to, she told me it was my mom guilt. ... I was like, 'Nobody’s believing me.'" It took a toll on Vanessa and Brian Baier's marriage. "Him not believing me, that hurts, and then the arguing about how to discipline her and what was going on," Vanessa Baier said. Kyla, Alexia's older sister, said the tantrums scared her. 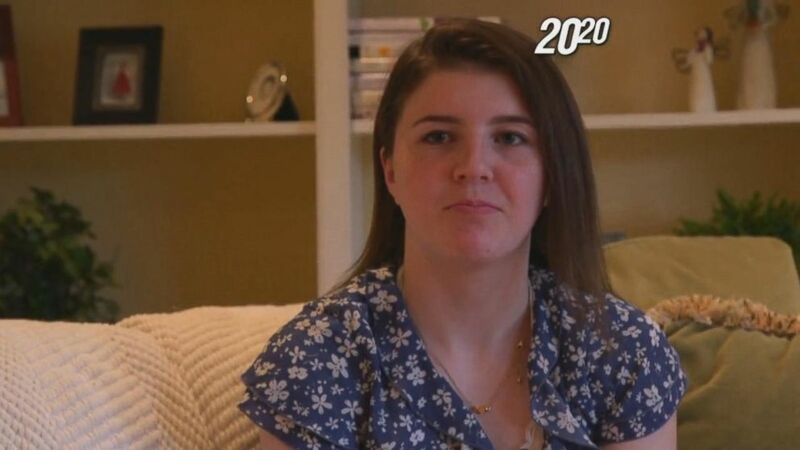 "When Alexia starts throwing a tantrum, I kind of get sad," Kyla told "20/20." When she was in the middle of a flare-up, Alexia said, she couldn't sense that something is happening. "I just go and try to hurt people," Alexia told "20/20." After three months of relentless emotional anguish, Vanessa Baier said an incident during a simple run for milkshakes became the final straw. It seemed like a routine trip until Alexia insisted on having some of her mother's milkshake while Vanessa Baier was driving them home. Vanessa Baier had told Alexia: "No." "Then she (Alexia) said, 'If you don't give me your milkshake, I'm going to unbuckle my seatbelt,' and I didn't respond," Vanessa Baier said. "Then she counted, 'One, two, three,' and then I heard a click." Vanessa Baier said that her husband, Brian Baier, was often at work when Alexia's worst behaviors would occur. Alexia had unbuckled her car seat and started rummaging through her mother's purse. Vanessa Baier pulled over and turned to her daughter. "As I picked my head up, she was stabbing me in the eye with my mascara wand. I was scared. I was scared for all of our safety," Vanessa Baier said. "This isn't normal, you know. Four-year-olds don't unbuckle their seat belts in the car to stab their mommy in the eye with a mascara wand all over a milkshake." She called her husband, who was at work. "He immediately dropped what he was doing and left work. I said, 'You need to stay on the phone this entire time, just in case. If something happens, you need to call 911,'" Vanessa Baier said. "I didn't feel that I was safe, that Kyla was safe or that Alexia was even safe from herself." Out of options, the desperate parents did what had been previously unthinkable to them: They had Alexia admitted to a psychiatric hospital. "[It was] the hardest nine days of my life," Vanessa Baier said through tears. "We could only see her for an hour a day. She was allowed to call us once a day. ... For a 4-year-old, those phone calls that she got once a day, she spent crying to me, 'Why did you leave me? I need you. I need you to come back.'" Her parents say that after Alexia spent nine excruciating days in the hospital, she was prescribed numerous medications meant to treat bipolar disorder and schizophrenia. "They [the medications] made her like a shell of her person. When she was on this medication, all that happiness was gone. Then she was still having these bouts of rage and aggression," Vanessa Baier said. Vanessa Baier is a special needs teacher whose advocacy helped pressure Illinois to become the first and only state to require insurance companies to cover PANDAS treatments. 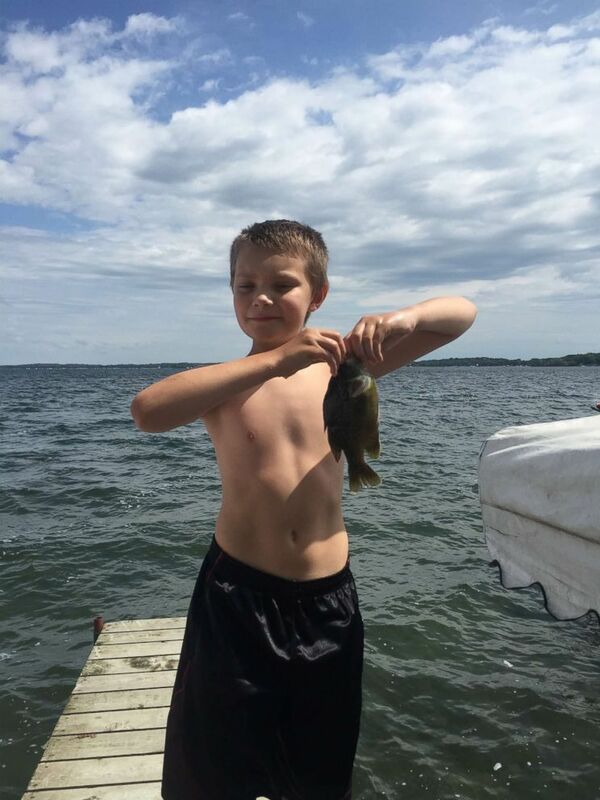 About 400 miles away from the Baiers, another family's child was suffering in suburban Minnesota. Natalie and Brian Barnes' son Parker had been having seizures and dealing with debilitating anxiety, rage and depression for months. "I would liken it to an abduction. Something came in the window and stole our child and left behind this shell. Our kid is gone!" Brian Barnes told "20/20." The Barnes family's lives changed in April 2017 when Parker, the oldest of four children, was just 10. He was a rambunctious and outgoing boy. But midway through fourth grade, Parker began acting differently, with odd tics and strange moodiness. Midway through fourth grade, Parker began acting differently, with odd tics and strange moodiness. Then one day, his brother Stetson was heading to the family's upstairs bathroom and ran into Parker. "I'm like, 'Mom! Dad! He's going to stab himself!'" Stetson told "20/20." "I ran up to the bathroom and there he stood with a knife in his hand," Natalie Barnes told "20/20." "Bawling uncontrollably," Brian Barnes said. "He was, like, in a trance, and I just grabbed the knife. And I'm just hugging him, and he's like, 'I just didn't want me to hurt anybody with the strep anymore,'" Natalie Barnes said. Parker said he was not sure if he really wanted to hurt himself with the knife that day. 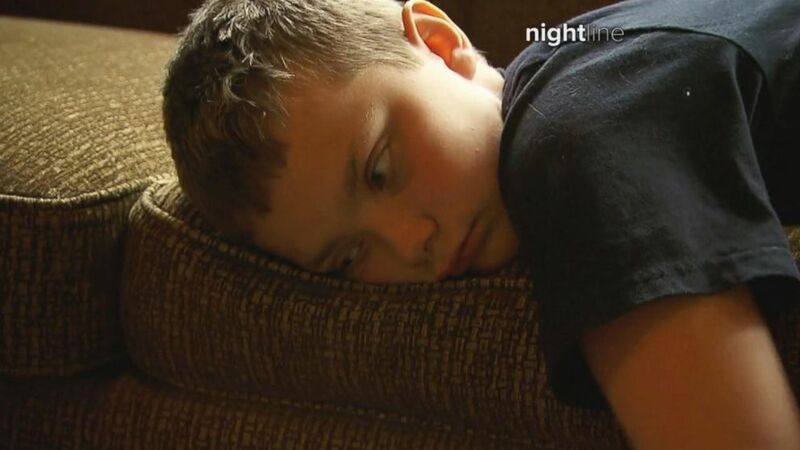 An emergency room doctor recommended that Parker be evaluated by a psychiatrist, and just like the Baier family, the Barneses checked Parker into a psychiatric hospital. "That was a nightmare," Parker, now 12, told "20/20." "That was like a prison for children 'cause all the children didn't want to see their families, because they were all so like angry or mean or something." As Parker was evaluated, one doctor became struck by one factor in his case. She learned that Parker's symptoms had first begun months earlier, when he had been diagnosed with strep throat. "She said he might have something called PANDAS, and we're like, 'PANDAS?'" Natalie Barnes said. 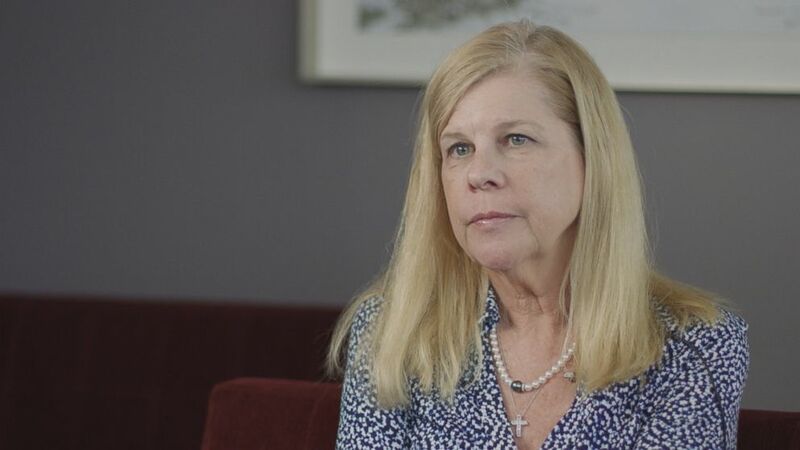 Twenty years ago, Dr. Susan Swedo of the National Institute of Mental Health first identified the disorder as Pediatric Autoimmune Neuropsychiatric Disorders Associated with Streptococcal Infections (PANDAS). "In its simplest form, the wrong strep in the wrong kid impacts the brain and gives rise to behavioral symptoms," Swedo told "20/20." Swedo said that normally when children get strep, their bodies create antibodies to fight the infection. But, she said, in certain children, those antibodies start attacking healthy cells and, even worse, sneak across what's called the "blood-brain barrier." "It's designed to protect the brain. We now know that the blood-brain barrier can become 'leaky,'" Swedo said. Parker's plasmapheresis could cost his parents, Brian and Natalie Barnes, as much as $100,000. And once the brain is invaded, Swedo said, children can very rapidly exhibit a wide range of psychiatric and neurological problems -- including the extreme kind both Parker and Alexia have. "So traditional onset [of OCD or obsessive compulsive disorder] is gradual. It comes over a period of days or weeks. PANDAS OCD comes on overnight," Swedo said. "I'm thinking, 'Great. Good. PANDAS. Is there a syrup for that?'" Brian Barnes said. "They're going to have the right thing -- the anti-PANDAS pill -- and whatever that is, it'll be gone and we'll be down the road and get our kid back, OK?" 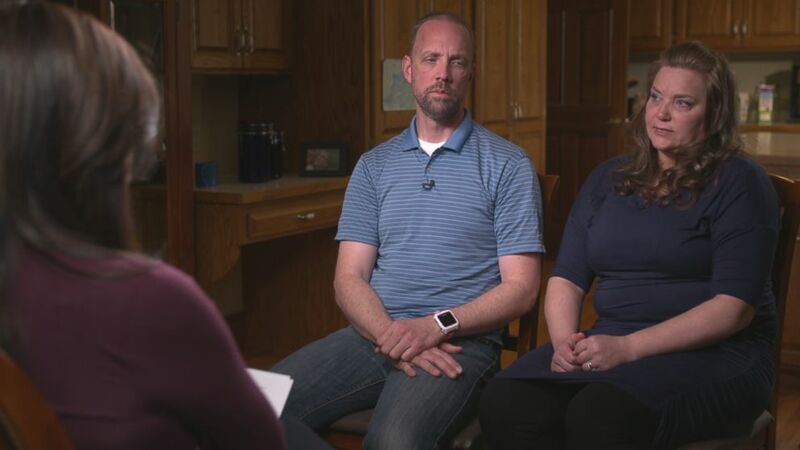 Brian and Natalie Barnes took Parker to more than a dozen doctors in Minnesota looking for a remedy for PANDAS, showing them videos of his erratic behavior. They got limited results. "I would have to say most the time they would go, 'Hmm.' Nobody ever said, 'O.M.G., I can't believe he's doing that. Let's figure it out!'" Brian Barnes said. 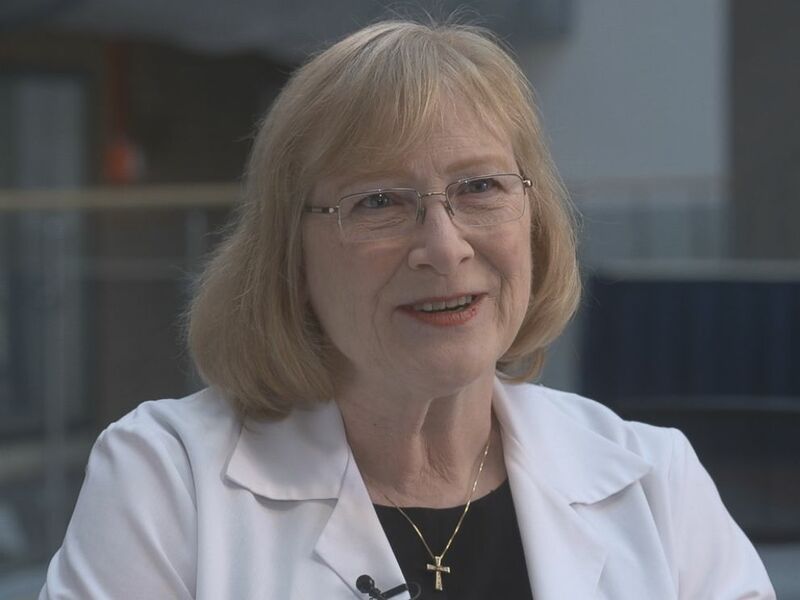 Their quest for better treatment took them to Dr. Beth Latimer, a pediatric neurologist in Washington D.C. who takes on the PANDAS cases that many other doctors don't. "I have felt tremendous amount of responsibility for these kids," Latimer told "20/20." "I've seen people move from one side of the country to the other. Parents get divorced because they can't deal with the trauma of this illness." "I would liken it to an abduction," said Brian Barnes, describing the sudden change of behavior in his son, Parker. Latimer started seeing PANDAS patients 15 years ago and quickly became a last resort for parents who say they are unable to find help elsewhere. She spent more than two hours evaluating Parker medically and learning his developmental history, but perhaps the most compelling visual evidence Latimer saw was the dramatic and, at times, disturbing home video Brian and Natalie Barnes had taken to document their son's ordeal. Their videos show Parker's behavior ranging from unresponsive to full-on rage. Parker is shown moaning and whining. "He would just freeze up," Natalie Barnes said. "You can't get him out of it." Latimer said she knows PANDAS when she sees it -- even though she said PANDAS can look completely different from patient to patient -- and believes Parker has the disorder. Kathryn was 9 years old when she suddenly started exhibiting bizarre behaviors. As a young girl, Kathryn Ulicki, now 12, suddenly started exhibiting bizarre behavior. Rather than breaking out into screaming fits or convulsions, Kathryn suddenly feared that she would suffer an allergic reaction or be poisoned from food. So one day, she just stopped eating. 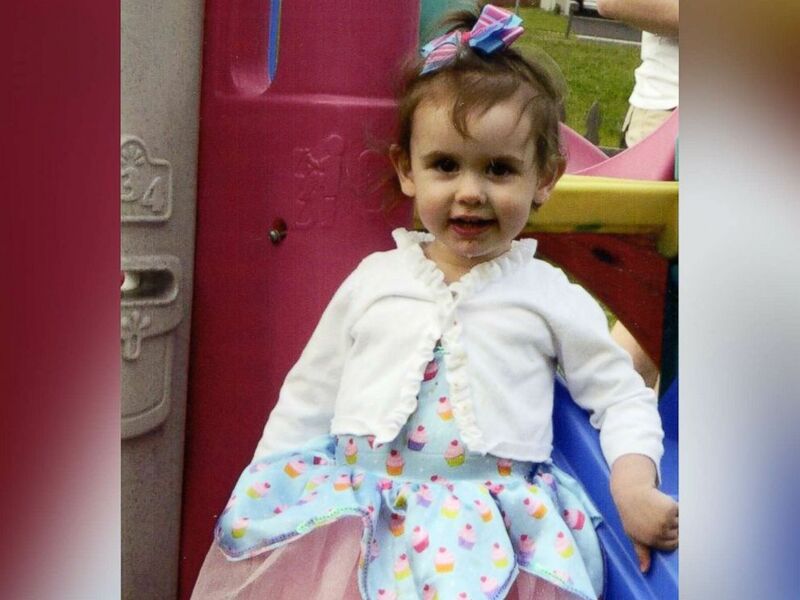 "I had no idea what was going on," Michael Ulicki, her father, told "20/20." Kathryn had a longstanding allergy to sesame, but this level of paranoia when it came to eating was new. Kathryn said she wanted to eat and drink but feared that she would have an allergic reaction. "I was, like, scared to swallow my own saliva, so I would just spit the whole entire day," Kathryn told "20/20." It's not clear whether Kathryn had an undetected strep infection or whether the onset of symptoms was triggered by a different infection, according to her parents. But within two weeks of an onset of symptoms, Kathryn, then 9, went into the hospital for dehydration. She stayed there for three weeks. She had a feeding tube for nearly two months. Things only got worse. Kathryn Ulicki ended up in a hospital with a feeding tube after she stopped eating because she feared she would have an allergic reaction. 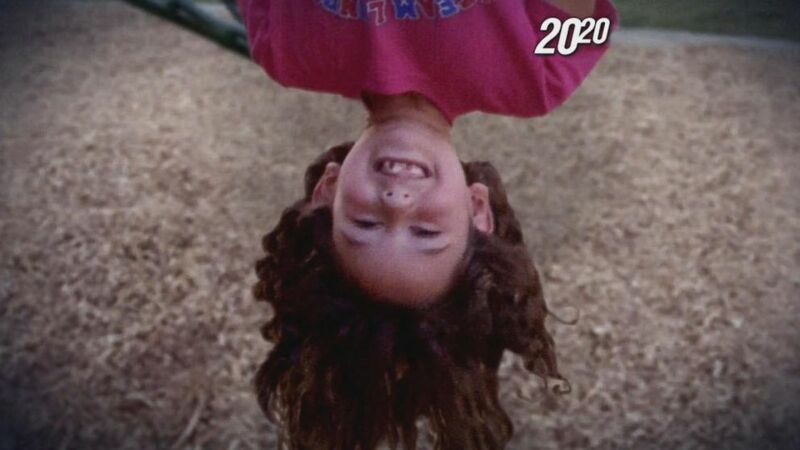 "You don't go from zero to crazy in that short a period of time from a perfectly normal kid," Kathryn's father, Michael Ulicki, told "20/20." "One day, I was, like, crying to my dad, and I was, like, 'I want to die,'" Kathryn said. Michael Ulicki said he was afraid for Kathryn's life. The Ulickis say that, fortunately, they found a lifeline in Latimer, who was six hours away from their Cheshire, Connecticut, home. Latimer said Kathryn's case of PANDAS was unusual. "Kathryn actually surprised me. She came and she couldn't swallow anything. She was spitting into a cup and drooling constantly," Latimer said. "This is what we call 'a cognitive specialty.' You have to sit. You have to talk. You have to listen. If you're running patients in and out of your clinic in a loop, you're not going to pick this up," Latimer said. "That is a very important reason to see the person, the child in person, with the parents before you make any decision. You have to hear the whole story before you can make a decision." Latimer was confident that she could help. She wanted to put Kathryn, then 9 years old, on steroids. Latimer believed that the injections would calm Kathryn's immune system, which had gone haywire. The solution may sound radical to some parents. Still, the Ulickis believed they'd found a savior in Latimer. "I remember thinking of her like a gladiator, because it's a disease that needs to be slayed," Michael Ulicki said. After the steroid treatment, Kathryn Ulicki went through several other treatments including homeopathy. Filmmaker Tim Sorel followed seven anguished families from across the country, including the Ulickis, and their struggles with PANDAS for his documentary "My Kid Is Not Crazy." "Every day was trying for me, trying not to cry," Sorel said. "You see a child robbed of their life. ... There's nothing quite like it." Sometimes the parents he was following would call him in the middle of the night, Sorel said, because they didn't know what to do and they said they weren't getting satisfactory answers from doctors. 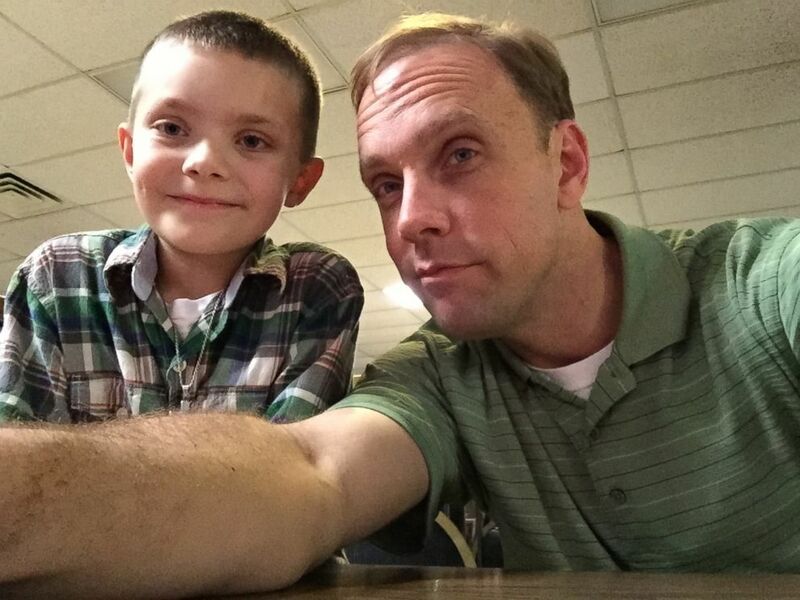 He said he heard the same story repeatedly: families lost in a maze of a disorder that appears differently from one child to the next and with symptoms ranging from out-of-control rages, depression and odd tics to severe panic attacks. As Sorel discovered and Swedo of the National Institute of Mental Health confirmed, many medical professionals don't believe PANDAS is a legitimate condition, making it difficult to get a PANDAS diagnosis. Swedo said she is as frustrated as parents about how hard it is to find doctors who treat the condition. "They dismiss it," Swedo said. "We don't have an argument with people that think this exists and it might be rare. The argument is with people who are literally PANDAS deniers." Dr. Donald Gilbert directs the Tourette Syndrome Clinic and the Movement Disorders Clinic at the Cincinnati Children's Hospital Medical Center, as well as being a professor of child neurology at the University of Cincinnati. He participated in two PANDAS research studies over a seven year period and has reviewed other studies. While he does allow that a very small number of children may have PANDAS, he also feels that there is no solid data to prove that strep causes underlying OCD, tics or any other psychiatric or neurological conditions in children. Dr. Susan Swedo of the National Institute of Mental Health first identified "PANDAS" as a behavior disorder in children 20 years ago. But Swedo argues that PANDAS is not rare, but "uncommon." "It probably affects somewhere between one in 200 and one in 500 every year," she said. "In the country as a whole, it's far, far under-recognized and under-treated." Experts, including Swedo and Latimer, do point out that many children will get strep and other infections and never have behavioral problems, while others will develop neuropsychiatric symptoms without any infection. Still, Gilbert said he believes PANDAS is "way over-diagnosed." "It's very different to say, 'There's a few kids that have this,' versus saying that maybe 10 percent of OCD cases are caused in this way," he said. Swedo said she’s faced an onslaught of published opposition in medical journals. In an email to ABC News, another doctor who expressed skepticism about PANDAS said, "The original concept that patients can present with typical Tourette's syndrome or OCD due to an autoimmune response to strep infection has largely been dismissed. The whole concept is very tenuous now." Dr. Donald Gilbert, a professor of child neurology at the University of Cincinnati, said research had yet to prove that strep causes OCD or any psychiatric condition in children. According to Swedo, that is one doctor's opinion. "He is just wrong," she said. "Like a drum beating, it just won't stop," she continued. "Maybe like in politics, if you repeat a lie often enough, it's construed to be the truth. So the physicians have been afraid." Sorel, the filmmaker, said he'd seen both sides of the fight while making his film. The American Academy of Pediatrics recently weighed in, saying that there aren't enough quality studies to prove PANDAS is a real disorder and that it refused to endorse treatment plans, including ones that were published in the Journal of Child and Adolescent Psychopharmacology in 2015 and updated in 2017. Families, like the Barnes, say the controversy surrounding the diagnosis only makes things worse. They say insurance companies rarely pay for unconventional PANDAS treatments, which in Parker's case have run close to $50,000. "You submit to the insurance company, you say 'Pretty please,' and they tell you, 'No, it's considered experimental,'" Natalie and Brian Barnes said. Natalie says that after she discovered insurance had covered one treatment for another family, her employer changed its policy to assist her in getting coverage. Dr. Beth Latimer is a pediatric neurologist who wanted to put Kathryn Ulicki, then 11 years old, on steroids. America's Health Insurance Plans, an insurance lobbying group, told ABC News in a statement, in part, that while there is no coding specific to PANDAS, "clinical policies are made in the interest of patient safety and value. They are determined based on scientific evidence regarding conditions and the treatments that are found to be most effective for treating them." The group also said that if a family is turned down for coverage, it can always appeal the decision. Kathryn's family says that it has spent more than $10,000 out of pocket for various treatments but that insurance did cover some of her expenses. One of the treatments was a steroid that Latimer prescribed to Kathryn. 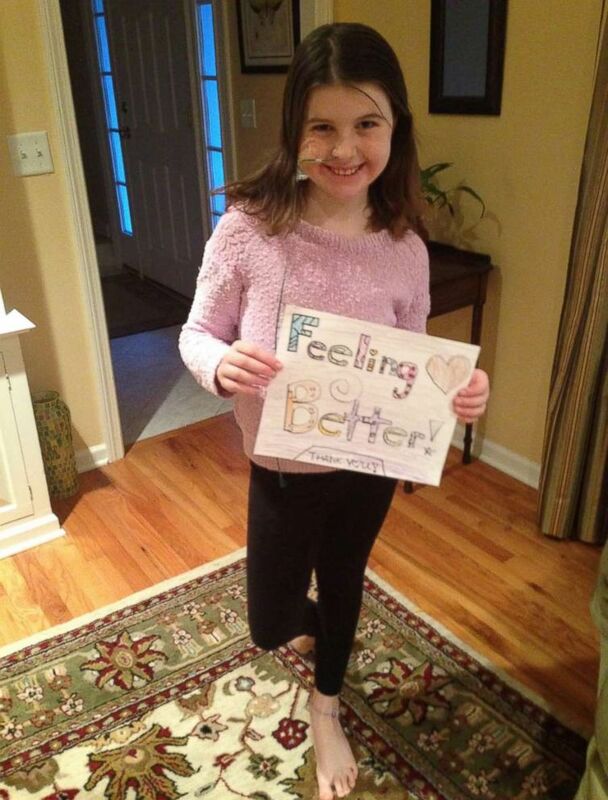 After just two weeks of treatment, her parents say Kathryn started eating again. 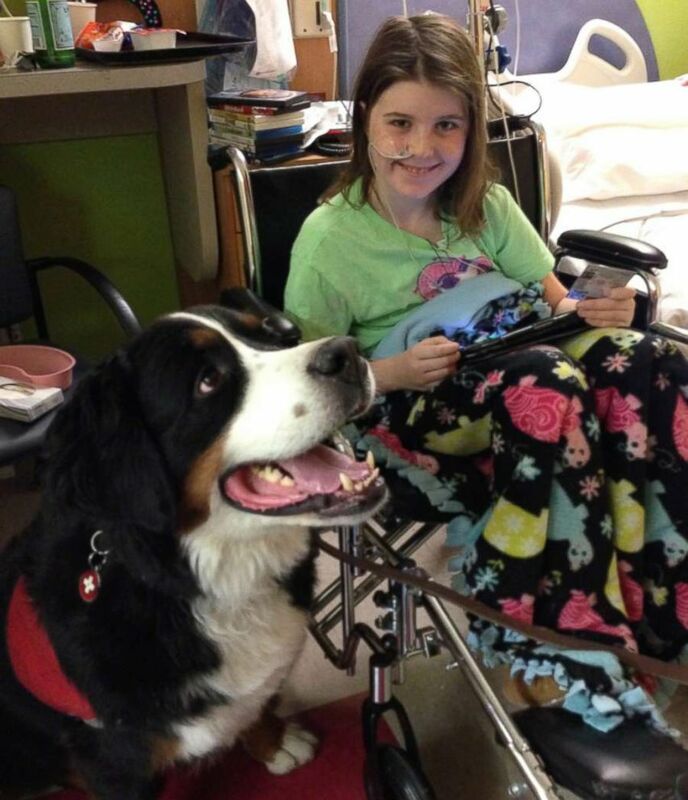 Latimer said her prognosis going forward was "excellent" and she could be expected to have a totally normal life. "I mean she probably has sort of a foggy recollection of it. ... But she won't be traumatized," Latimer said. ABC News visited Kathryn three years after she saw Latimer. In that time, she was back at school and eventually, back to a normal life. The girl who once wouldn't eat now has a healthy appetite. "I feel a lot better today, like emotionally and physically," Kathryn said. Her parents said her transformation has been amazing. "It's kind of nice now in a way," Michael Ulicki said. "There are times I forget about PANDAS." Sorel, the filmmaker, said Kathryn's "happy ending" was truly wonderful to see. Brian and Natalie Barnes' 12-year-old son Parker is the oldest of four children. "I want to emphasize we don't know what got her better, but who cares what got her better as long as she did," he said. After she finished the steroid treatment, Kathryn continued several other treatments, even homeopathy, so the solution could have been due to any number of things. Skeptics point out, however, that in some cases, a patient may improve on his or her own. 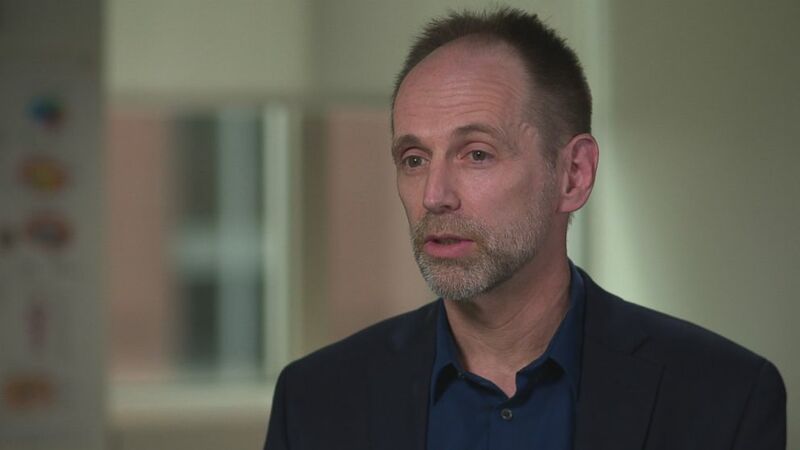 Dr. Gilbert, the University of Cincinnati professor of child neurology, says "I think as a general principle, over time, many things get better. It's quite possible. I don't know for sure, but that does happen." But the parents of children believed to have PANDAS say their question is: what do they do if their child does not get better and how long are they supposed to wait? As Kathryn progressed, the Barnes family continued searching for answers. Natalie and Brian Barnes had every intention of putting Parker through the intensive treatment that Latimer had suggested -- plasmapheresis, a process to remove the antibodies attacking his immune system -- even though it would mean Parker would have to spend a week at a hospital in the intensive care unit. "Parker suffers every day," Natalie Barnes said. "He has no childhood right now. It's like if you had a child that was told they had leukemia and they had to be hospitalized to get chemotherapy, you would not hesitate." But again, some doctors consider the treatment controversial and don't accept it as a proper course, including, the Barneses said, their local immunologist. "He said, 'I will not participate on any level with your son if you give him that treatment. I don't agree with it and I won't touch him,'" Brian Barnes said. 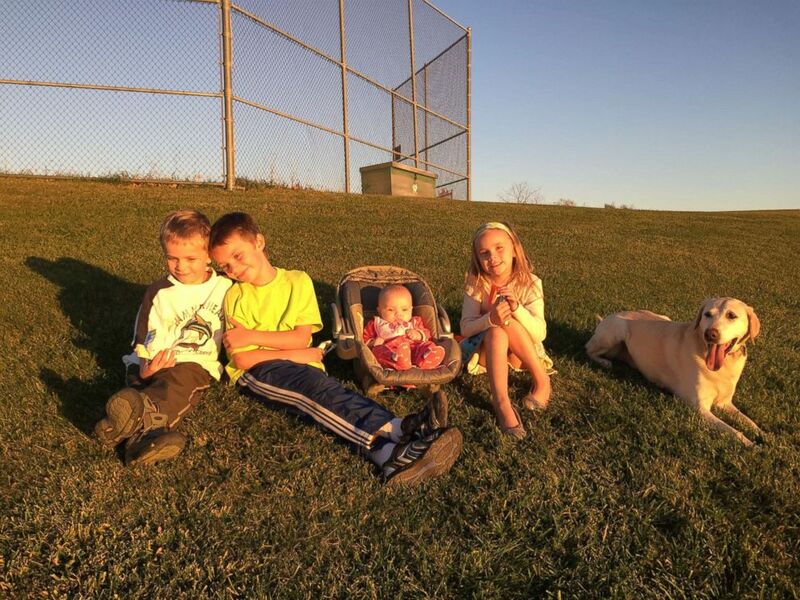 Because Latimer could not admit Parker to a Minnesota hospital and the family's local immunologist was unwilling to participate in the process and lengthy follow-up, plasmapheresis was scrapped as an option for now. "The logistical problem of trying to get it arranged was confounding," Brian Barnes said. 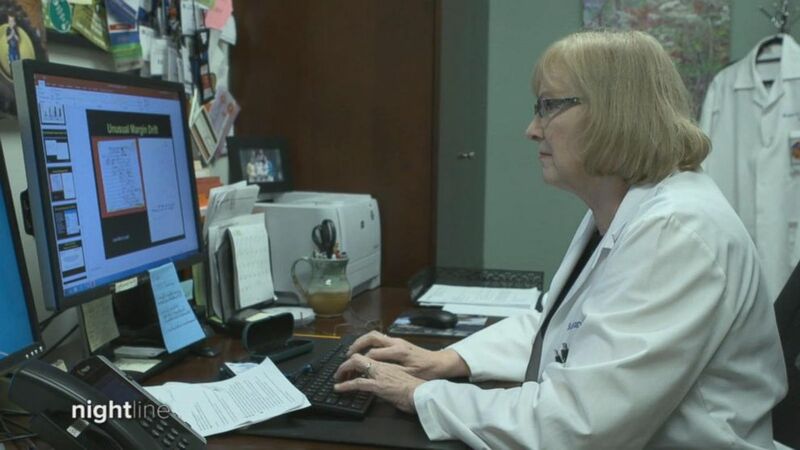 The Barnes say, as for next steps, "There's a million ways and ... it depends on what your doctor considers serious ... [and] what they're comfortable ordering," Natalie Barnes said. Parker's parents kept trying to find a solution for him. This summer, there seemed to be some progress. Doctors increased the frequency of his medications, steroid treatments and injections to boost or supplement his immune system and by the time he turned 12, they say things seemed to be getting better. But it didn't last. His parents said he started hearing voices and having hallucinations -- symptoms they hadn't seen in him in more than a year. "He had moments where he would be OK and then he would just dive down to a place we hadn't seen," Brian Barnes said. "It's back in the scary places where he's become very unpredictable. ... He would sit there and chant, 'Die, suffer, bleed. ... Die, suffer, bleed.'" During this chanting, Brian Barnes said Parker would go on to say, "I should bleed. I should make myself bleed." As a parent, "panic can set in very quickly," Brian Barnes said. He and Natalie Barnes began yet another search for another doctor. They were finally able to get an appointment for later this month with a specialist who, they say, is open to the idea of giving Parker plasmapheresis in Minnesota. They estimated that the cost would be as much as $100,000 for treatment and follow-ups. 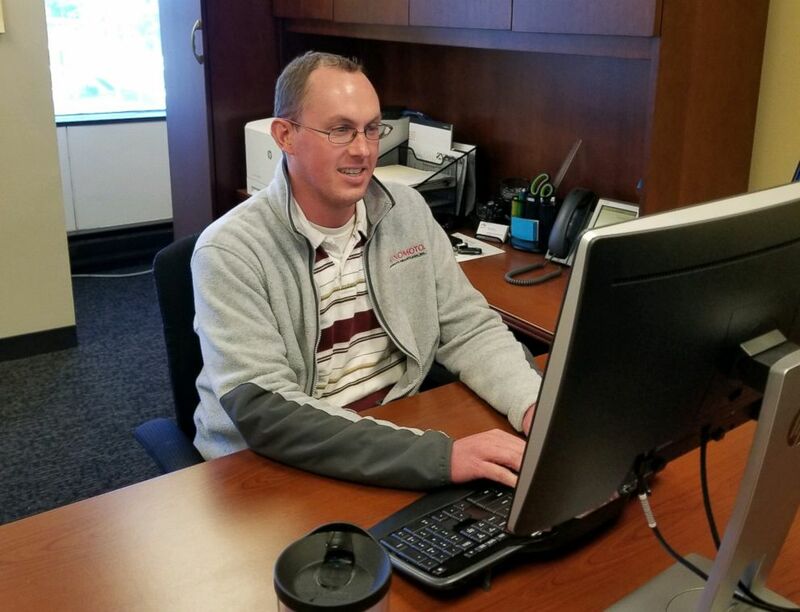 As the Barnes family hopes insurance will cover their son's next course of treatment, the Baier family may have found some hope. It was just a few years ago that Alexia was put into a psychiatric ward and prescribed medication for bipolar disorder and schizophrenia. Now at 8 years old, she is thriving. She was chosen out of her entire school as the "Student of the Month" for positive behavior. Her family said Alexia had responded well to a different antibiotic than the one she'd been given when she first had strep, along with a few other medications. Her parents also are trying everything they can to keep her compromised immune system away from bacteria and infection. "She actually had her tonsils and adenoids removed" in January 2015, said her mother, Vanessa Baier. "Then she stopped getting the strep, but then she started reacting to colds, to allergies, to other people having strep or even colds. Now it's like she's responding to anything and everything. ... It's as if her immune system doesn't quite know what to do." Vanessa Baier said Alexia still has "flare-ups" and they expect to still have struggles with Alexia's health going forward. She has had 15 doses of antibiotics in the last three years. "She needs to know to be able to talk about it and tell people what she needs when she is in a flare and how that might impact her as a person," Vanessa Baier said. "She tried steroids. She did OK but it didn't seem to make a big effect. I don't know. With other kids, it does, but that's part of the hard thing with PANDAS. It's not one size fits all." During an intense flare-up, Alexia's doctor recommended IVIg therapy, which provides donated antibodies to assist compromised immune systems, that many PANDAS families opt to try. "We were told insurance wasn't going to cover it, but this is what she needs, so you need to look into paying out of pocket. It was going to cost us between $18,000 and $24,000 to cover the treatment," Vanessa Baier said. 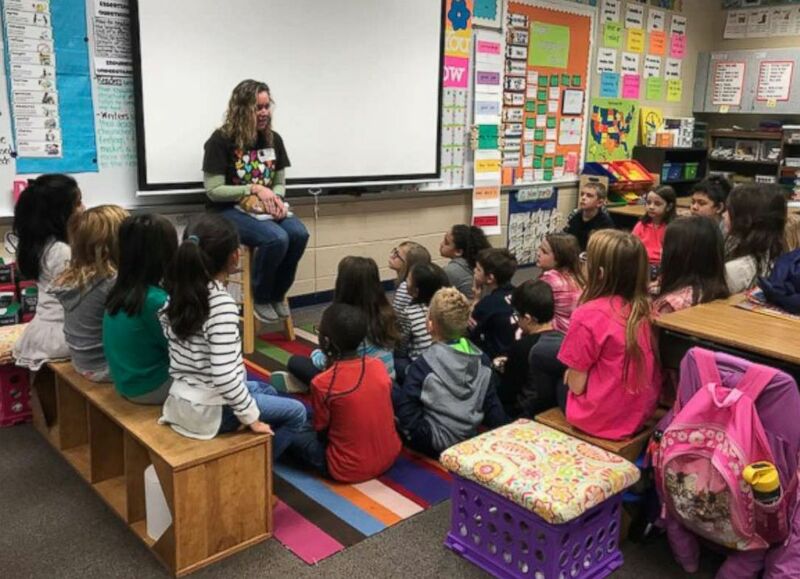 This sparked Vanessa Baier into becoming an advocate alongside other families and they were able to push the state of Illinois to become the first and only state so far to require insurance companies to cover PANDAS treatments. Vanessa Baier and her girls stood next to Illinois Gov. Bruce Rauner in July 2017, as he signed the legislation into law at a kitchen table, which she said was symbolic to show that this is an issue that affects entire families, not just the young patients. +What is PANDAS, the disorder some say can cause extreme behavioral changes in kids?